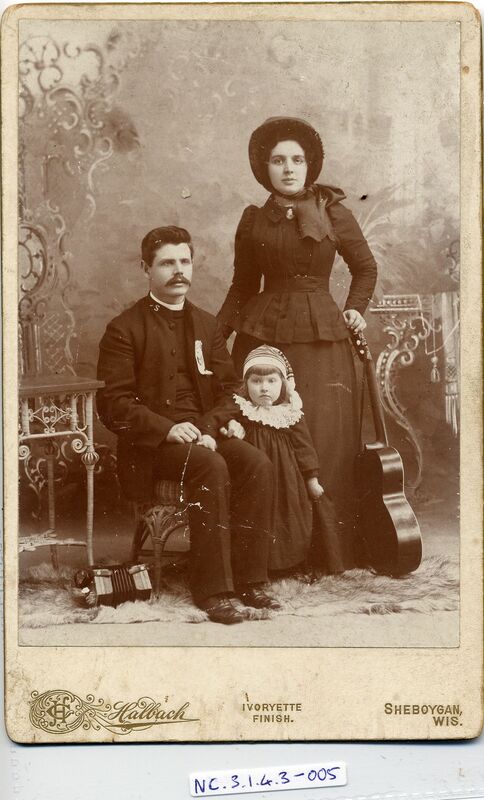 Full Description: A large American carte de visite of a Salvationist family, the seated man next to a 3-Row Anglo, the lady holding a guitar. �� Though the man's Anglo appears to be an English-made 3-Row, the photo is taken by "Halbach, Artistic Photographer, Sheboygan, Wis" - Wisconsin USA. It is labelled "Ivoryette Finish".